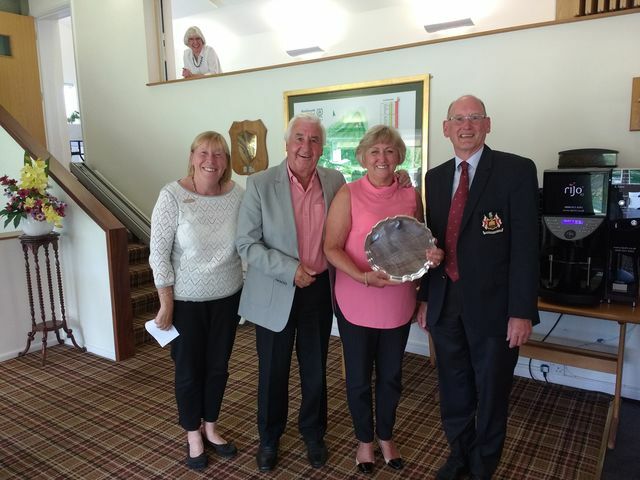 Sunday 13th May saw the 4 ball better ball stableford competition for the Yorke Trophy and the Garner Salver which is given to highest place husband and wife. 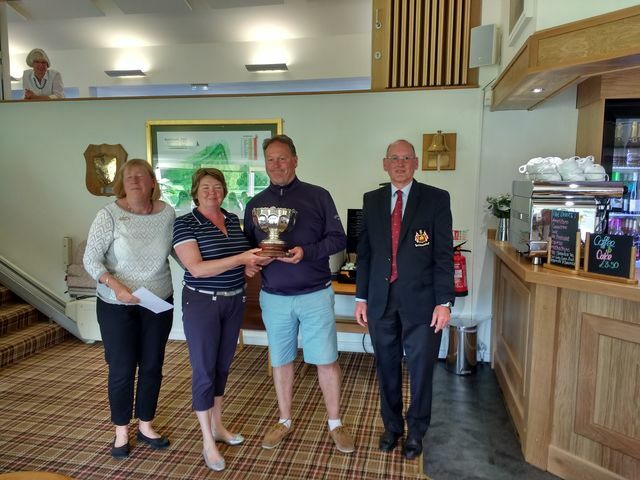 The scores were excellent and in first place were Teresa Wright and Mark Thorne (41 pts), second and winners of the Garner Salver were Lyn and Ken Harrison (40pts) and third were Sue and Clive Rattenbury (39pts). Here are the proud winners with their trophies together with Captains Maggie Smith and Chris Peake.